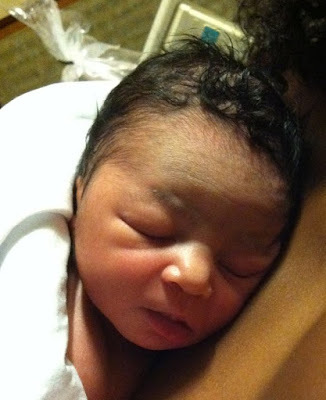 :: NikG* Life + Style ::: Baby is here! I finally had my baby! Introducing Cruz Constantine G. Born 7/19/11 6 lbs. 7 oz. 19 inches long! beautiful! congratulations on a healthy baby. that is truly a blessing! OMG! You're so lucky he came early! Glad you all are safe and healthy! You are totally my soul sister (well you and CheveuxNoir were my hair idols). Max and Cruz were the names I wanted to name my second, but we let my older son draw names and out of the three he picked the name it is now (Reid Daniel). I hate you and love you for having that name! (excuse the harmless jealousy ;-)) So happy for you Chica! You make this SAHM stuff look easy. I wish you lived in my city...I'm ready to give up and go to work, ha ha! Congrats on your precious cargo! congrats on your new bundle of joy!! WHAT?!! Girl, it seems like you just announced your pregnancy lol! Congratulations on your beautiful addition! Let me know what your push present is! Absolutely gorgeous! congratulations on your new addition! To God be the glory. Congratulations, so happy for you and your family. You and your son look adorable. Thank you for sharing your joy. Congrats, Nik. Gorgeous, just like mama. Awwww, congrats!!! What a handsome baby! Today is my due date and no baby yet, but I'm being very patient. Congratulations and welcome to the world of two boys! They will love each other to death and bicker like there is no tomorrow, but you wouldn't want to change it for the world. Best wishes in all that you do! He is beautiful! And I love his name! he's beautiful! i love his name too. 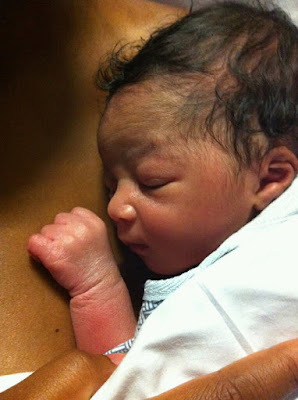 congratulations, mama; he's beautiful! and i have to tell you that i have special love for his name; my older son is named cruz as well! Congrats with it! You look amazing and he is abosolutly beautifull, what a cutie. CONGRATULATIONS! Many blessings to your beautiful family!